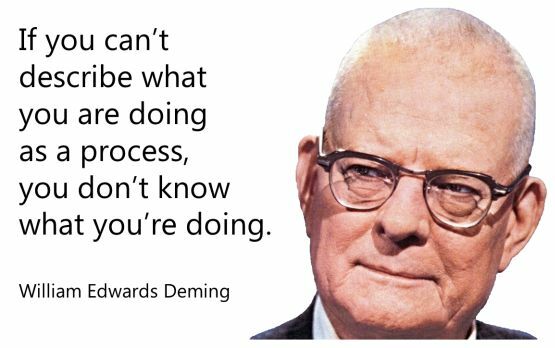 As Deming said, every aspect of manufacturing needs to be thought of and treated like a process. Since all processes are interconnected in some way with one another, the outputs from one process become the inputs to the next. Deming also said that "Uncontrolled Variability is the enemy of Quality". So when poorly managed processes generate highly variable outputs, they increase the cost, burden and risk of down stream processes. Our experience is that in today's market, where every manufacturer needs to be striving to reach World Class Manufacturing standards, every process inside the plant can fall into one of two categories. They are either core or non-core processes. Core processes tend to be tied to the part being manufactured since in order to be competitive plants have had to implement robust Plan-Do-Check-Act management cycles. The focus is to produce a highly consistent and repeatable Output, the part. Non-core processes however are the uncontrolled variables that Deming talks about. Non core processes introduce variability as uncontrolled inputs to the core process. This in turn increases the management burden on the core process driving up overall costs. Where core processes define the innovative advantage that plants enjoy (because it requires in-house specialized expertise, robust systems and focused execution based on KPI data), non-core processes are where the waste and opportunities for improvement lie. By their very nature, core processes within a facility are continually improving as the in-house expertise and systems continue to improve and become more robust over time using KPI Data. Core processes set you apart from your competition. Non-core processes at the other extreme steal resources and are wasteful. They are the processes that need to exist in order to support the primary objective of the manufacturing plant, but because they lack systems, expertise or data driven execution, the processes hurt profitability and put the plant at risk. Un-managed risk and reactive events leads to expensive containment actions as the facility tries to minimize the direct impact on their core operations. Whats the fastest way to get there? Managing non-core Technical Processes well, requires specialized Tools & Expertise, robust and sustainable systems and focused data-driven execution. It also requires complete transparency so you can proceed with confidence knowing these aspects of your facility are being well taken care of. Zimmark provides non-core technical process outsourcing services, where we work to optimize and then continually improve the processes that support your manufacturing. We work to minimize cost and impact, so your team can stay focused on core innovation and total process cost reduction. Are you ready for all your non-core headaches to go away? World class manufacturers know they need to be relentless in their efforts to minimize waste while at the same time implementing sustainable innovation in order to maintain their competitiveness on the global stage. Balancing waste minimization while driving true innovation is a challenge when internal resources are constantly being distracted by non-core operations. Though we reduce total process costs for any area we take on management and execution responsibility for, often the greatest impact we can have on a facility is the jump they get in productivity and bottom line performance when their technical resources can stay laser focused on their core strategic advantages. In the immortal words of Steve Jobs, "I am more proud of the projects we decided not to do vs the ones we did." Strategic focus of your limited resources is essential in today's highly competitive and changing environment. 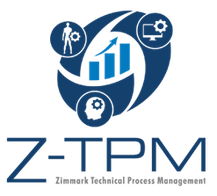 Technical process optimization and continual improvement are the result of Specialized Expertise (using specialized tools), combined with robust business systems (with measured compliance) and focused/timely execution (driven by data). We call it operating your non-core process with ESE (pronounced and meaning “ease”).